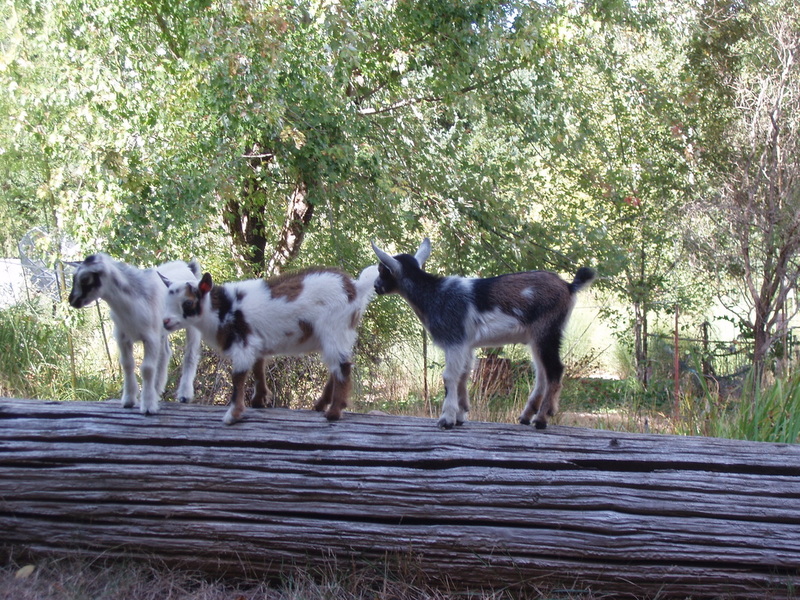 ​I fell in love with these wonderful little goats. ​ They are curious, friendly and full of life and give the added bonus of adding milk to our household. ​I enjoy making cheese and yogurt from their delicious milk. ​Gardening is also something my husband and I enjoy, and he seems to be the one that does most of the gardening nowadays. 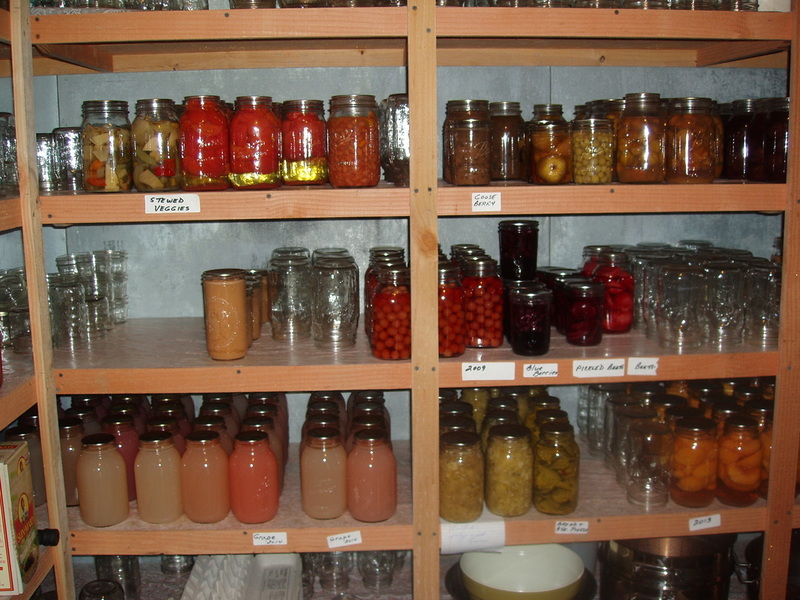 We supply most of our food on our farm and do a lot of canning. My husband does the butchering and we supply most of our own meat also. When we bought our property it was all scotch broom and garbage behind every blackberry patch. It took us most of the first year camping out and cleaning out truck loads of garbage. Even the Siuslaw river that goes thru our property was full of garbage. Tires, truck parts, old bathroom appliances. It was a really a great feeling to see everything start to come together. ​Being that my husband was a home builder it was easier for us to build our own home. Six months of hard labor got us into our house. After the house was done - the pond was next. That was quite an experience and to see how it has become a natural pond full of life is really great. It took quite a few years to become natural. We have muskrat, blue heron, turtles, and a flock of Canadian geese that join us every year. We did have to get a permit for our pond and for our water rights. ​Now as we get older every year (amazing) we have to slow down from what we did before. Takes longer to do chores but we try to always take time daily to take a walk with the goats. If I am busy in the house Tom will take them into the woods and pond area. They are very put out if we miss a day and do a lot of yelling about it. 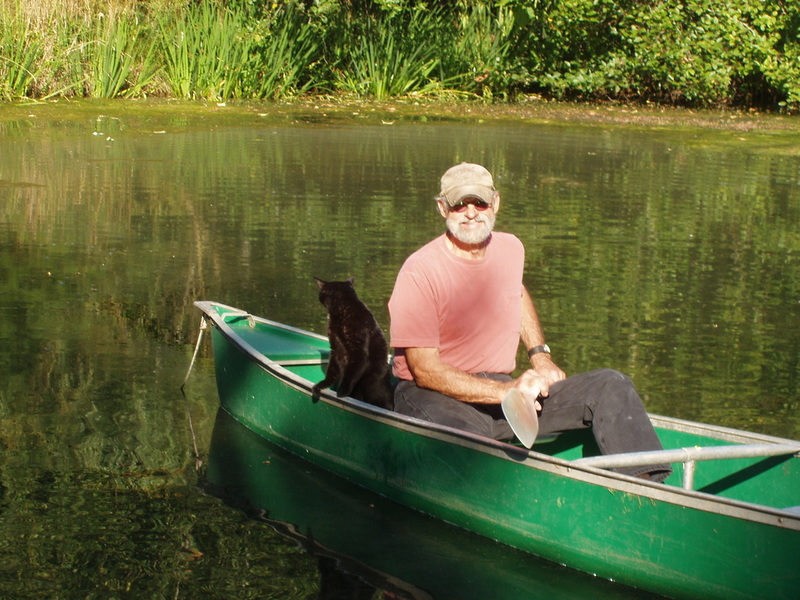 Enjoying the fruits of his labor -Cleo the cat even enjoys a canoe ride on the pond. 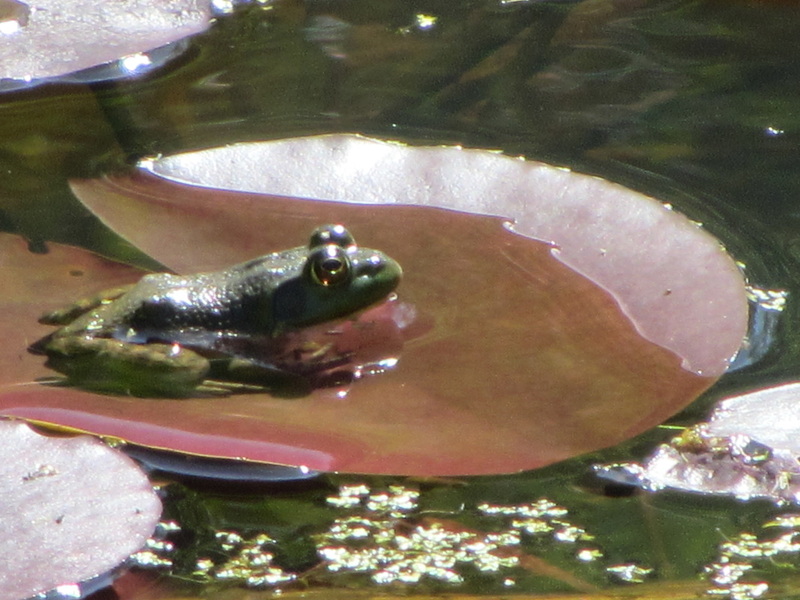 The frogs love to sit on the lilly pads. This year we have had muskrats move into the pond. It's a busy place. We see western pond turtle all summer long and have been fortunate enough to see one laying eggs. Our canning room is always very full from the products we raise on our property. 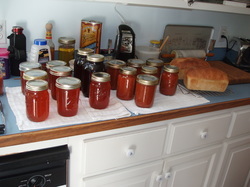 A morning of work, loaves of bread and home made wild crab apple jelly. 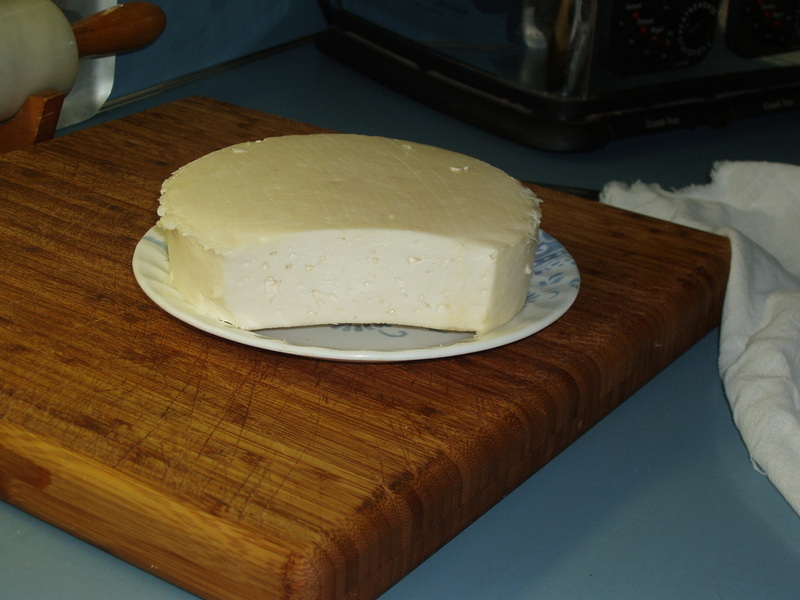 Nigerian goats milk make really good cheese, this is a block of cheddar. I hope to be able to make quite a bit this year as I will be milking more girls. Visitors are always welcome to come and see our animals. Just call ahead 541-942-3812 to Bev to make an appointment.